an excursion to new york city is soon upon us. you may or may not already know it's my favorite place ever. i always love to hear what other people love about it. there is so much to love. a jam-packed touristy trip isn't on the menu. i'm hoping to discover (and re-discover) our faves and enjoy the best of the best gems while not feeling too frantic. do tell, if you had only a few days in manhattan, what would you be sure to see, eat, or experience? please tell me your not-to-be-missed nyc musts. new york collage made up of pins. one / two / three / four / five / six. Crumbs cupcakes are to die for. Also Ferraro's bakery in Little Italy. Yum! I love New York City, too. Have a wonderful trip! Will you please be flattered if I borrow this idea for my blog? We're heading off to D.C. this weekend. Have you been there? It's one of my favorite places. Fun Mart. I will be following this thread closely as we have a fun little graduation trip to the big city as well on our radar. It will be my first time. These are just a few of my everyday/norms, if you will. If you are bringing your son, check out mommypoppins.com it has tons of ideas and info for things to do and events for kids. Hope this helps! Don't forget comfy shoes and your shades. And let me know if I can help out with anything else. i only took one trip to NYC and it was while i was still in art school, so (of course) almost all my time was spent in museums. in the span of a weekend, i hit the met, the moma, the guggenheim, and the frick collection. my eyes were full to overflowing, but it was totally one of the highlights of my college experience. I can't even tell you how excited I am for you to go!! What a fun vacation for you and Dan. I have only ever been there once and it was just for a few days to pick up my brother from his mission... I wish I had some awesome must-go-to place in NYC for you! Have lots and lots of fun. Can't wait to hear all about it when you get back. What a fun time for you! Can't wait to see New York through your eyes. I've never been but I can't wait to see what ideas your fellow blogging friends come up with! Oh Marta how exciting! I have to admit I am jealous. I've never been to New York but we have big plans to go. In a few years. Like three or four. :) I'll be living vicariously through you until then. Have a wonderful time! Grimadli's Pizza in Brooklyn Heights! its right under the Brooklyn Bridge, then for dessert there is the famous ice cream parlor right down the street right on the river. It's a Great place for night photography of the city! I've had the opportunity to go to NY a few times recently and would go back in a heart-beat! It's one of my favorite places! Last time I was there I rode the bus to the Martha Stewart show-huge fan! (while the kids and hubby stayed at the hotel-relaxing that morning--they later met me.) I was able to see moms and their kids riding the city bus to school-I wondered what I would do with my own kids. I really took in the sights, sounds & scents of the city and just SMILED!! We went to the cutest museum on Staten Island (http://statenislandkids.org/) We had the best time and the kids LOVED it so much! Bring a picnic lunch and enjoy the SIMPLE beauty of seeing your kids running through the trees and eating ice cream out in the lawn! CAN I GO WITH YOU?? ;-) ENJOY THE TRIP! Can't wait to hear all about it! "Fish's Eddy"---Forget exact location. Possibly a favorite place of all time. Dishes upon dishes upon dishes. GORGEOUS! Eclectic. Seriously DIRT CHEAP. A must. MUST! "The Strand"---The bookstore to end all book stores. Hours and hours and hours can be spent here. It is an DREAM. A wonderful children's section. Racks and racks of 1$ hardbacks outside the store. Quite possibly my favorite place in New York. "Rice to Riches"---Located near "Little Italy" if I am not mistaken. Feature on "Hitch". An INCREDIBLE Rice Pudding restaurant. Changes every notion you have ever had about rice pudding in the best possible way. You MUST see FELA. It's the best broadway show I've ever seen! JEALOUS!!! ---Shake Shack has the best burgers I've ever had. Mmmmm. Beats In - N -Out. ---Central Park. Just spend an entire day there. Picnic with some food you bought at Zabars. ---Staten Island Ferry--Free. Free boat ride. Free view of the Statue of Liberty. Runs every half hour. ---Lower East Side Tenement Museum. Off the beaten path. Get to see homes of people who lived during the Great Depression. An interactive museum experience. Walking around SoHo. Purl Bee, Taste, bakeries, and art. LOVE SoHo. what i wouldn't do to take a trip to new york. cannot wait to see your pictures and live vicariously through you! You lucky, lucky girl!!! Of course NYC is my absolute fave as well. I will be living vicariously through your trip, and I can't wait!!! hi again, we are going to The Smith tonight (i mentioned it above) and I just realized that the first ever (flagship) store for Kiehl's is just 2 blocks away on 3rd and 13th. I remembered you liked Kiehl's so I thought you might like to see it. (they have cool motorcycles and and model plane that your son might like if he's going too.) fyi, this area is also that of the Tribeca Film Festival. NYC is excited to have you! make sure tom has a good time and have fun!! Oh my goodness. How exciting. 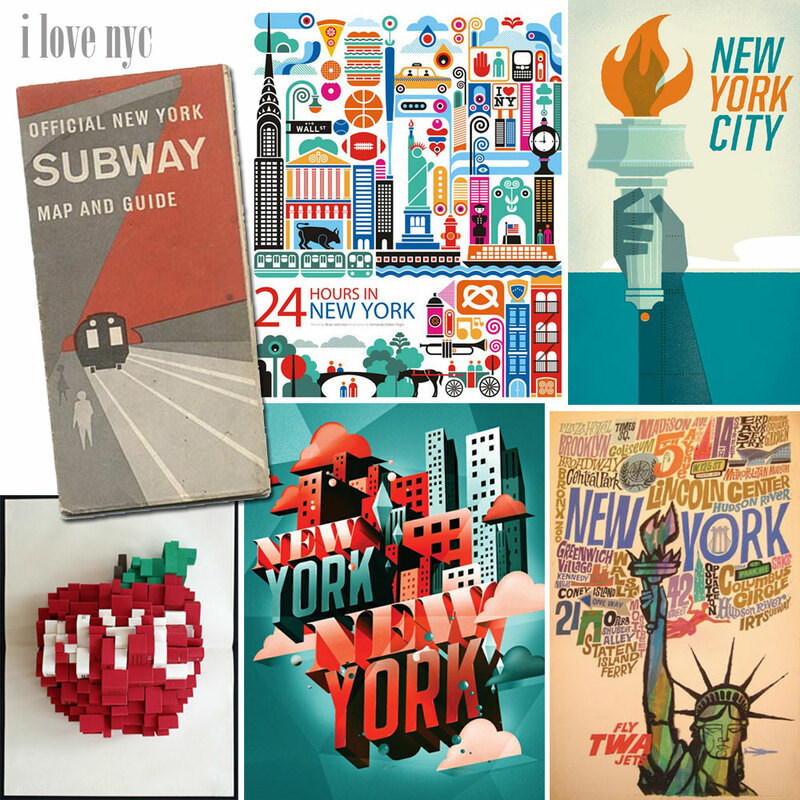 I love NYC too. We love stopping in at the Strawberry clothing stores. Dirt cheap and cute clothes and bags. When are you going lady? We'll be there in two weeks for my birthday! I know this isn't anything new, but Central Park is always one of my first stops. When I was in NYC in December, Jeff's i-phone was our guide. He had the Yelp app. He typed in wherever we happened to be standing in the city, and we were able to find the best food for the lowest price. It saved us so much money, and allowed us to eat truly delicious meals the entire time we were there. The google map app also easily guided us through the subway. I am a local, upper west sider. My faves: pizza at Lombardi's in Soho (grimaldis' line is way too long), hot chocolate and/or choc chip cookies at city bakery, coconut cream doughnut from the doughnut plant, pomme frites in the east village,union sq greenmarket (m,w,f,sat), walk along the Hudson, carousel on Hudson river (around w 23rd St), walk the west/east village. Central park (good food trucks at tavern on the green), get BBQ dinner at daisy mays and eat on the pier (W 44th St), the strand bookstore, ice cream from cones in west village, tenement museum. Are you bringing your cute boy? Mommypoppins.com is awesome for kids stuff. Feel free to email me. I'd love to help anyway I can. Before your trip or during. Or if you want to see how tiny our apartment is. (3 kids in a 1 bdrm). Yes, crazy, I know. I'm headed there soon too, so I'm so glad to get all these recommendations from everyone's comments. I've started keeping a pinboard with all the places i want to go, and I'm going to add some of these to my list...thanks everyone! Oh! I love that you did this. We're heading up for my husband's 40th in June. I haven't started planning, but on my list is stopping by Eataly (http://t.co/qYQwnW1). One of my best friends lived there for 15 years so when I bug him for suggestions, I'll send them to you! Oh Marta! So jealous :) I have to say my fave memory was of Little Italy. We went down there just last minute and there happened to be a food festival going on. Definitely a good place to come upon street food! Have so much fun! There's a chocolate restaurant called Chocolate By the Bald Man (go to maxbrenner.com). There are 2 locations in NYC and you'll DIE of happiness there. You can get regular food (which they usually incorporate chocolate into SOME way), or you can get real chocolate treats. It's like Willy Wonka for adults. Try their Suckao---amazing. The one I went to is in Union Square. If you're a You've Got Mail fan, Cafe Lalo is on the upper west side that has twinkle lights up the whole time--the cannolis are SO GOOD. I always visit the garmnet district to buy exquisite ribbons. Hyman and Hendler and M.J. Trimm for sure and there are other fun places as you walk between the two. I am headed to NYC in about two weeks, and am so excited! I have been a number of times, but still love to hear what others love. Thank you for posting this, have gotten many great ideas from everyone's comments! My husband and I went to NYC as our last hurrah before the baby was born. I was 6 months pregnant, fell in love with the city and was wore out by the third day. That said... I think my favorite moment looking back was getting a cupcake at Dean and Deluca, sitting in Rockefeller Center and watching all the people while I slowly ate my treat. We hustled and bustled to see things the first few days and then stopped. Just enjoyed what we did find. There is so much to see and do in the city. You are going to not see and do some great things... but just relax and enjoy a few of them and plan on going back. How exciting is that. I love NYC as well. I lived close to the City for a year and spent a lot of weekends there having fun with friends. Picknicks in Central Park | Window shopping on 5th Avenue | Burgers at Shake Shack | Magnolia Bakery for cupcakes | Ellis Island ferry to wave hi to Miss Liberty | enjoying the view from ESB or the Top of the Rock (at sunset) | walking across Brooklyn Bridge | go to shows/musicals on Broadway | stroll through Soho | go to museums ... those where just some of the things I loved to do. I wish I could go to NYC asap. I was about to plan a trip but had to postpone it. sit in central park, soak up the amazingness! church in the nyc temple, when we were there we even rode the elevator with glenn beck! can't wait to hear about your adventure!